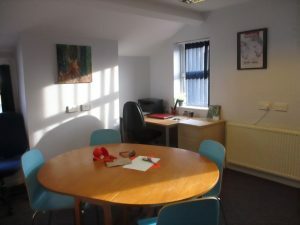 Thanks to increasing interest in our services we are looking for qualified art psychotherapists to work alongside our dedicated team of self-employed professional practitioners delivering sessional Art Psychotherapy to both individuals and groups, as and when therapeutic programmes are established. Applicants must be registered with BAAT (British Association of Art Therapists) & HCPC (Health and Care Professions Council), be self employed, and willing to work within ArttherapyYorkshire’s code of practice, and safeguarding policies. All ArttherapyYorkshire practitioners are self employed and work to BAAT recommended rates for sessional work. We are a registered charity committed to delivering professional Art Psychotherapy to adults and children from our studio base in Scarborough, or our mobile studio service across the area. As a registered charity our aim is to provide our services free, or at an affordable rate to allow access to therapeutic support to those who would not otherwise be able to afford it. If you feel you may have something to offer ATY on a sessional basis do use our contact form to email admin@arttherapyyorkshire.org.uk .